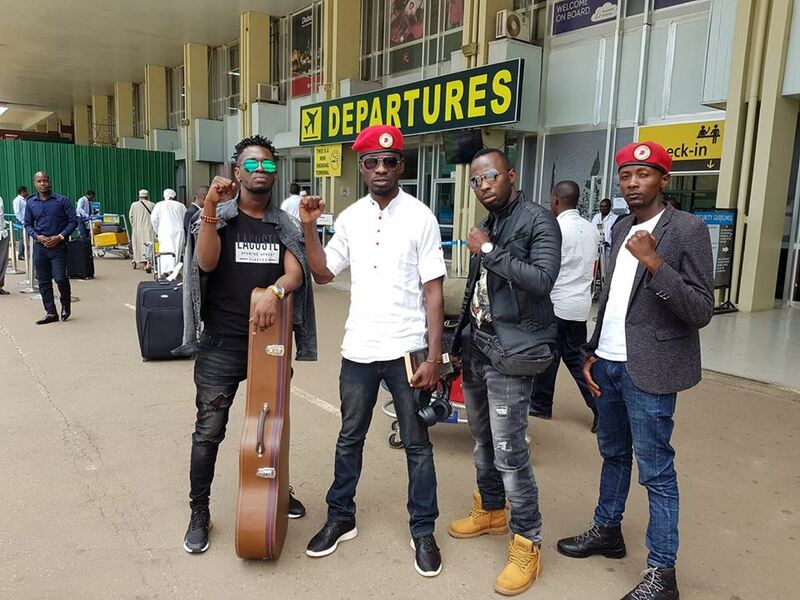 ENTEBBE – Mr. Robert Kyagulanyi Ssenatmu aka Bobi Wine and Nubian Li have Wednesday, March 27 left the country to South Africa where they are expected to perform at different music concerts. Mr. Wine, who is a Member of Parliament for Kyaddondo East, and his colleagues are slated to perform on Thursday, Friday, and Saturday in three major cities of South Africa including Pretoria, Johannesburg and Cape Town. Mr. Wine and his team who jetted in the county on Saturday night from Dubai where they organised successful music concerts have left Wednesday afternoon, for their much anticipated Kyarenga extra show. In Dubai, Mr. Wine stepped on stage wearing his red beret and white African wear and performed live alongside backup singers.